MINNEAPOLIS — Some of Target Corp.’s first class of Techstar startups are already running tests within the company. Others are in active talks about potential partnerships. In the last several weeks, many have zigged or zagged their original concepts. And a number of them are contemplating setting up a permanent or satellite office in the Twin Cities after the 14-week boot camp finishes up this month. The 11 companies, chosen from more than 500 applicants, are nearly through the first 14-week Techstar accelerator houses inside Target’s headquarters in downtown Minneapolis. Colorado-based Techstars runs dozens of similar boot camps around the country and has an impressive track record of helping incubate successful tech companies. The partnership with Target is its first program with a specific retail focus. 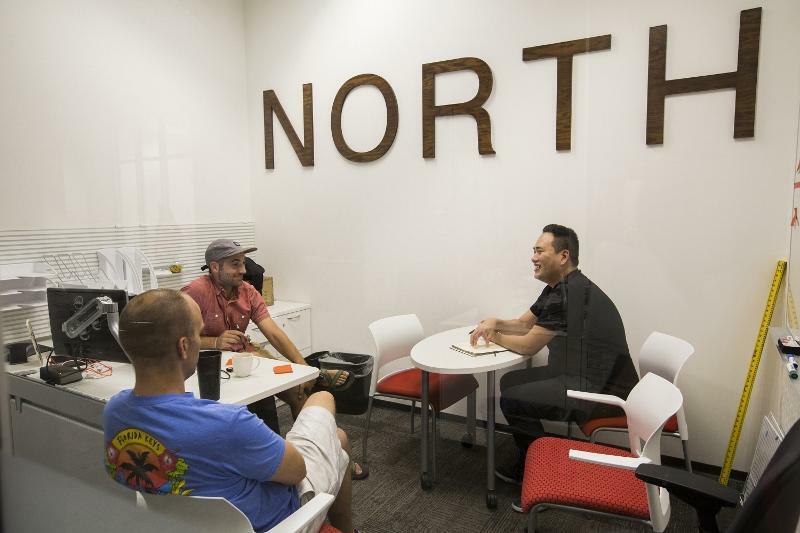 The Minneapolis-based retailer will host at least two more accelerators in the coming years. It sought out the partnership as it looks to build a faster-moving, more-innovative culture within the massive corporation that has found itself flat-footed at times in a rapidly changing digital world. The startups from around the world, including one from within Target itself, took over an 8,000-square-foot space built out for them on the second floor of Target’s city center offices. The area is full of the typical staples of startup life: whiteboards plastered with pink, yellow and blue Post-it notes, delineating tasks that still need to be finished as they race to their looming deadline. On Sept. 20, the culmination of the program, they will make their final pitches on Demo Day to a packed house. In the initial weeks, the startups met with 120 possible mentors, many of them Twin Cities-based entrepreneurs in a series of 20-minute speed-dating style meetings. About 60 of the coaches were Target executives, including Chief Executive Brian Cornell, who now meets about once a week with two companies in the program. One of them is Inspectorio, a fairly mature startup with outposts in Asia and Latin America that is trying to figure how to bring more transparency to the supply chain. Initially, it was interested in mainly working with Latin American retailers. But after talking to various Target executives, the founders decided to pivot its focus to the U.S., where there is a bigger appetite for its help. And while it initially was focusing on quality control, the company now has expanded to also encompass social and environmental conditions in factories — especially as U.S. consumers are becoming more concerned about how their clothes and other products are made. When the program is over, Inspectorio might open an office in Minneapolis because of the relationships it has built here, particularly at Target, and because the city is centrally located between New York and Los Angeles. Another startup — Branch Messenger, a California-based firm with an app that enables hourly store employees to swap shifts with one another — has been running tests inside of Target stores for a few weeks. It also is thinking about moving to the Twin Cities, too. That’s one of the aims of the programs: to convince startups to stay in the Twin Cities to help add to the budding technology scene. More than 90 percent of the people in the accelerator had never been to Minneapolis before the program. So in between long hours in the accelerator, Target and Techstars have courted the entrepreneurs. They took a canoe trip down the Mississippi River, and St. Paul Mayor Chris Coleman took them to a baseball game. While she probably won’t move to Minneapolis, she said she is considering opening a distribution center here to be the company’s Midwestern hub. If it weren’t for the program, she probably would have only considered Chicago, she said. Her startup, which she founded with her sister, a florist, launched its website right before the program started. Since then, the company has expanded its initial focus from weddings to include other events such as birthdays, anniversaries and even funerals. It is also in talks with Target for possible pilot programs with its registry or floral shops. Los Angeles-based MakersKit also is preparing to make a pitch for Target to carry its make-your-own terrarium or various other product kits. Its products already are carried in stores such as West Elm, Urban Outfitters and Williams Sonoma. But now the company is looking to make the leap to more mass-merchant retailers. Since it’s been in the Techstars program, it’s been ramping up its new product lines and finding ways to tweak its packaging. The company has worked closely with Target’s data teams, which have recommended it take steps such as customer surveys and asking retailers for information such as sales per month per store. So what is Target getting out of this other than some new potential products and partners? In many small ways, Target already has learned to move faster just to keep pace in working through possible tests with the startups, said West Stringfellow, Target’s vice president of internal innovation who spearheaded the retailer’s participation with Techstars. It’s also teaching Target that you can get big things done — not only in a short amount of time — but with very small teams, he said. Down the road, there is the potential that Target could invest in some of these companies. The retailer has invited the companies to continue working in its offices through December. In the meantime, Stringfellow has been pushing the companies to not get too distracted by possibilities with Target since the aim of the program is broader than that.